Technology is as much a part of the plumbing industry as it is in any other walk of life. Over the years, plumbing technology has come a long way, and we have tools available to us today that plumbers a decade or two back would have given an arm for. One of the greatest benefits of modern plumbing technology is the ability to actually look within our clients’ pipes. Because so much of your plumbing system is hidden from view, aside from the fixtures that you interact with directly, it used to be quite difficult to get a handle on what exactly the was. This is no longer the case. 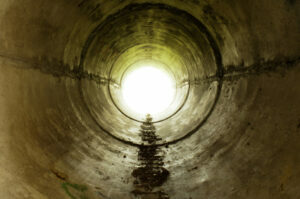 Today we can simply take advantage of a thorough video camera pipe inspection in Bradenton, FL. Video camera pipe inspection equipment helps with two major steps in any pipe service. First of all, it allows us to assess the condition within the pipe in a very thorough manner. Moreso, it allows us to do so with as little disruption to your property as possible. We’re not going to be excavating a pipe or breaking through drywall to get an idea of the pipe’s condition. Instead, we’ll simply feed the camera into the pipe, and that camera can relay video from within the pipe back to a monitor in real time. This completely eliminates any guesswork, while allowing us to diagnose any existing problems and to keep our eyes peeled for any that may be in development. Of course, the other side of the coin is the evaluation of the work completed. Say, for instance, you hire us to clean your drains or scour your sewer line with our hydro-jetting equipment. Rather than do so and just running some water through the pipe, we can go back in with our video camera inspection system and evaluate the condition within the pipe. If we’re not 100% satisfied with the work completed, we can target specific areas and ensure that the job is done properly. Wimpy’s Dependable Plumbing is here to keep your pipes working properly.Let Call today 941-322-1911 and find out why our customers say, I Love My Plumber!